Lincoln tells the inspiring true story of Abraham Lincoln and his attempt to persuade the House of Representatives to vote for the 13th Amendment. In doing so slavery will be abolished. If Lincoln loses the vote he will have to wait until the war is over. And if the Union wins and the South rejoins the US, the South will surely vote against the Amendment. You probably already know how the vote turns out but you donâ€™t know how Lincoln, Secretary of State William Seward, and others try to persuade Democrats to help pass the Amendment. The time is mid 1860â€²s and the Civil War is almost over. 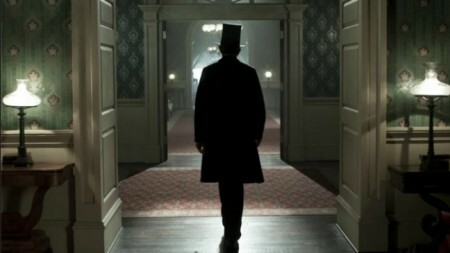 Lincoln tells the inspiring true story of Abraham Lincoln and his attempt to persuade the House of Representatives to vote for the 13th Amendment. In doing so slavery will be abolished. If Lincoln loses the vote he will have to wait until the war is over. And if the Union wins and the South rejoins the US, the South will surely vote against the Amendment. You probably already know how the vote turns out but you don’t know how Lincoln, Secretary of State William Seward, and others try to persuade Democrats to help pass the Amendment. The time is mid 1860â€²s and the Civil War is almost over. Steven Spielberg directs this movie. 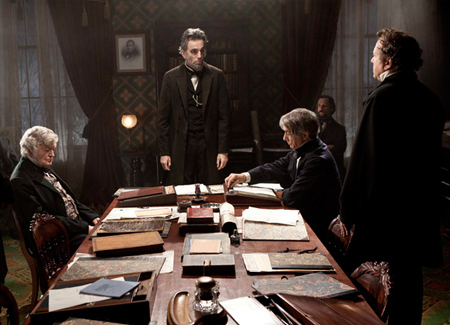 Along with the rest of the crew one of his greatest achievements in the film is accurately representing the mid 1860â€²s. The filmmakers create an impeccably authentic sense of time and place by vividly rendering everything from the way people talked to how African Americans were treated. All of the actors talk in a way that seemed surprisingly modern to me but since I didn’t live when the film was set I can’t criticize this aspect. Everyone who made this movie should definitely be commended for their historical accuracy. Clothing, a Civil War battle scene: the film is shockingly realistic. There are a few factual errors and goofs but none that would be painfully noticeable to a regular non-historian moviegoer. And at least Lincoln rides in a buggy rather than a VW Bug. The story and events in the film are also highly factual (despite some inaccuracies). But the story itself is what makes the film so great. Anyone who knows a single thing about history will know how the climactic final vote turns out but it’s hard not to be wrapped up in the suspense. Steven Spielberg directs the film like the pro he really is. Many people are saying it’s the best film he’s made in a decade. While he is my favorite director, many of his films I haven’t seen (not because I don’t want to) simply because I’m not allowed to watch them yet. Apart from Lincoln I’ve only seen three of his films of the 2000â€²s. They are in chronological order: Indiana Jones and the Kingdom of the Crystal Skull (2008), The Adventures of Tintin (2011), and War Horse (2011). 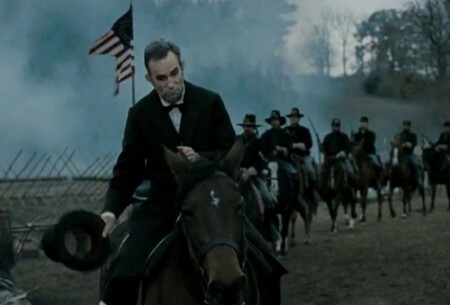 Lincoln is definitely better than the first two (albeit respectable films) but I might need to see the criminally underatted War Horse again to compare. It’s a simpler movie that you can enjoy without knowing all about the politics of a century and a half ago. But back to the direction of Lincoln. Spielberg puts together all of his pieces in a way that reminds me of Ulysses. S. Grant commanding all of his Union soldiers. Everything is carefully constructed with the kind of precision I imagine this film must have been some very hard work for Spielberg. He has said he can direct Indiana Jones-type action flicks in his sleep. That can’t be true. Even for one of the most advanced filmmakers of all time every project comes with a new challenge. But I made an educated guess that he meant only action films like nothing he’d ever done before (an IMAX 3-D motion capture family film like the animated Tintin)Â will from now on be added too his resume. Maybe that’s a good choice, though I’d love to see a fifth and final, nostalgically fun and Mutt-free, new Indy movie of course starring Harrison Ford. But for Lincoln Spielberg spent 12 years doing researching (while making other movies). I’m surprised it took that long though he wasn’t studying nonstop. Nonetheless his research shows. But was this film fun to make for him? I’d need to ask myself to find the true answer (something I’d love to do) but I’m guessing yes, in a way. The film was probably difficult and stressful at times yet rewarding and fascinating at others. And yet no matter how hard it is to create celluloid gold when a director is on the red carpet for their film’s premiere I am sure they are undeniably happy because it is at a time before people have had a chance to say their opinions of the new film. When Lincoln premiered at the New York Film Festival on October 8thÂ I’m sure Spielberg was a bit nervous but boy did it pay off. Research, overseeing, and orchestrating all tiny parts were probably the three most important parts for Spielberg on this film. But every other department on the film is equally great. Most notably of course are the actors. Daniel Day-Lewis is fantastic in a part originally intended for Liam Neeson but was changed to Day-Lewis when Neeson was considered too old, though only five years his senior. Day-Lewis is perfect as Lincoln. Many critics have said he’s the real thing, so to speak, but no one knows the truth. If I’m not mistaken there aren’t any living film critics from a little over 150 years ago. But basedÂ what historians have told us and photos have shown us Day-Lewis is really the real thing. He nails the part. And in fact he might be a better way to study Lincoln than any 100% factually correct history book. Every muscle movement just seems right. Only a few flaws of Lincoln are shown. Was he really so perfect? Probably not. But no one wants to create fake bad things to say about the man and that’s a good thing. I can’t imagine anyone else playing this part as well as Day-Lewis does. This is the first film I’ve seen him in and I can already see why people are calling him our greatest living actor. He’s won two Best Actor in a Leading Role Oscars: first for Gangs of New York (2002) and then for There Will Be Blood (2007). He’s also been nominated for two Best Actor in a Leading Role Oscars: first for his breakout role in My Left Foot (1989) and then for In The Name of the Father (1993). He’ll definitely get nominated as Best Actor for Lincoln and surely win. 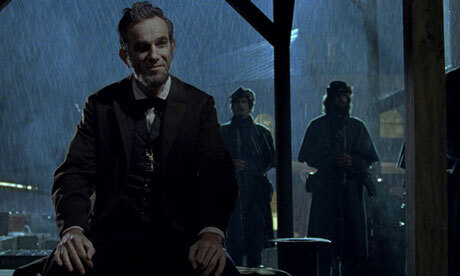 The MPAA has rated Lincoln PG-13 for a scene of war violence, some images of carnage and brief strong language. Anyone studying Lincoln, slavery, or the Civil War will not see anything worse than what they’ve studied. Kids watching the film might be bored if they’re expecting an action fest (so don’t). EveryoneÂ will be occasionally disgusted by the horrific images of war. Some kids and adults will be glued to the screen thanks to the constant debating, historical significance, and gloriously old fashioned spectacle. Anyone over 12 is probably fine. I’d rate it PG-13 for the same reasons as the MPAA as well as a little more than brief strong language. Combine the witty, fascinating script by Tony Kushner, John William’s stirring score, the wonderful adaption of Doris Kearne Goodwin’s Team of Rivals, a mind blowingly magnificent cast, and the epic direction of Steven Spielberg and you’ve got an excellent historical drama. 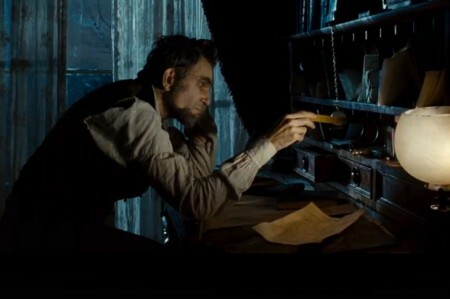 I think it’ll be Argo vs Lincoln for Best Picture and for now I can’t decide which I love more. Go see this movie if you want to know why 2012 is a great year for movies and why Spielberg is our greatest living director. See it to discover the reasons Lincoln is still remembered today. He was smart, savvy, truthful, inquiring, sophisticated, and gave everyone a chance to talk. He was our 16th President. He was Abraham Lincoln. Go see this movie. To be honest I haven’t seen a more classically cinemactic movie all year.